It’s Friday, and I’m still bummed (understatement of the month) about the election. Given that last Friday I featured an alcoholic drink, I decided that I’d do the same thing this Friday. 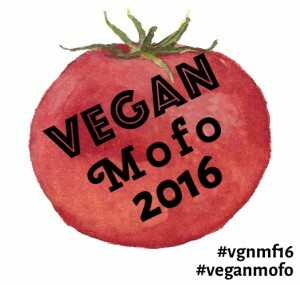 New MoFo tradition! And a way to salve my aching soul! So today I bring you a vegan chai hot toddy: the perfect beverage to sip on a cold night as you wonder what the hell went wrong and/or make plans to enact your vagenda of manocide. How does this relate to international week, you ask? According to my sources (read: things I found on the internet), the hot toddy is a drink of British extraction by way of India. (Apparently there is an actual “toddy” palm tree, and the sap featured in the earliest of these drinks.) Today’s hot toddy differs quite a bit from its earliest form, and not just because we omit the toddy palm sap these days: the original British toddy was not hot at all, and was in fact served cold. 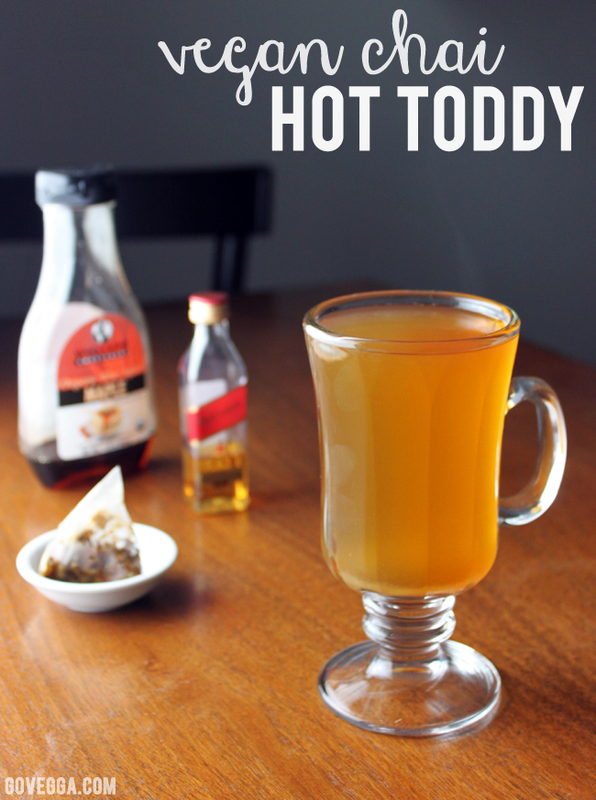 I think we can all agree that chilly November nights call for something warm, however, and you’d better believe that my hot toddy is gonna be piping hot. I typically make them with black tea, but today I decided to make it with chai as a nod to the toddy’s Indian heritage, and the warming spices are a perfect addition. I used a pre-made chai blend — this Bhakti Fiery Masala Chai is my current favorite. If you prefer a DIY version, try this chai masala blend. Feel free to adjust the sweetener to taste; depending on how fiery your chai is, you might want a little more agave. Pour the hot water over the tea bag and stir in the agave nectar and vanilla extract, if using. Steep to your preferred strength, then add remaining ingredients, stir, and enjoy. I am definitely in need to both heat and alcohol today. What a brutal week.